DOXA KIDS HAS THE SAME MISSION AS DOXA CHURCH: TO HELP EVERY CHILD BEHOLD, OBEY, & BE TRANSFORMED BY THE GOSPEL. 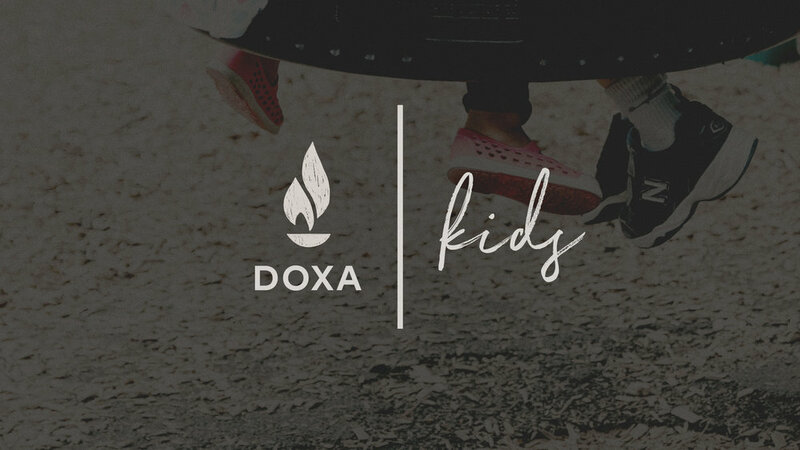 We are honored to partner with parents by serving families through our Doxa Kids ministry. Doxa Kids has the same mission as Doxa Church: to help every child behold, obey, and be transformed by the Gospel of Jesus. Every Sunday, our volunteers point children to Jesus through stories from the Scriptures, games, activities, and crafts. We desire to help children learn who God is, what He has done through Jesus, and who they are in light of that. We believe in the importance of making disciples of the next generation. Doxa Kids is privileged to foster children's growing relationships with Christ. However, we believe Scripture is clear that parents are the primary disciple-makers of their children. We desire to come alongside parents as they pursue the calling to lead their child's discipleship journey both in the church and at home. Through the mission of Doxa Church, we help equip parents in their efforts to build a strong gospel-centered foundation for their children. Doxa Kids serves ages 0-12, preschool and elementary students, in a safe and welcoming environment.